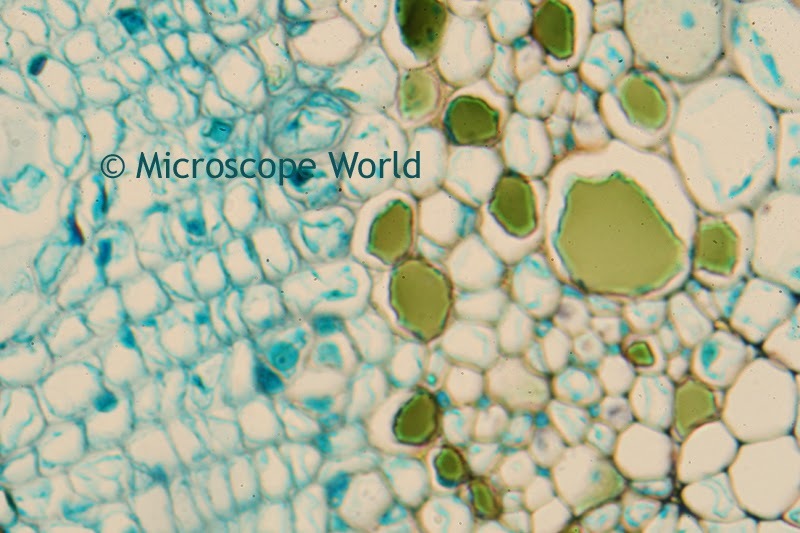 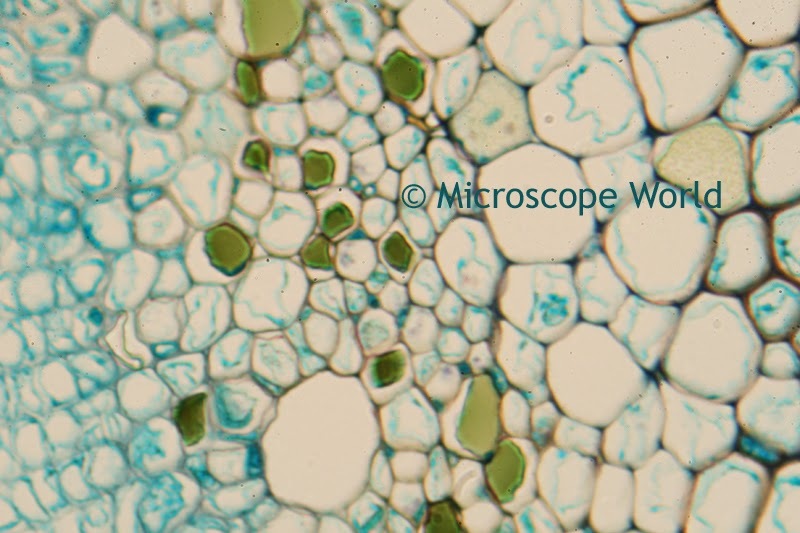 These images were taken of the Dicot prepared slide (part of the Microscope Starter Kit) using a Canon digital SLR camera adapter on the Motic BA310 microscope. 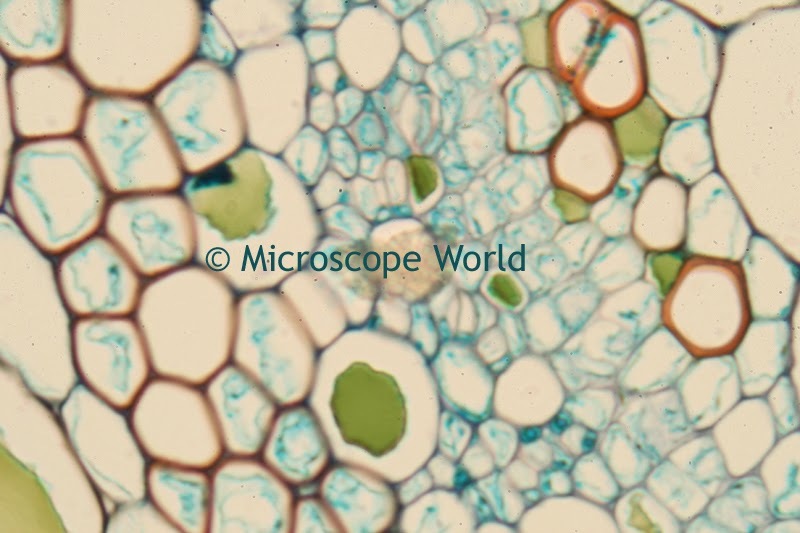 All images were captured at 400x magnification. 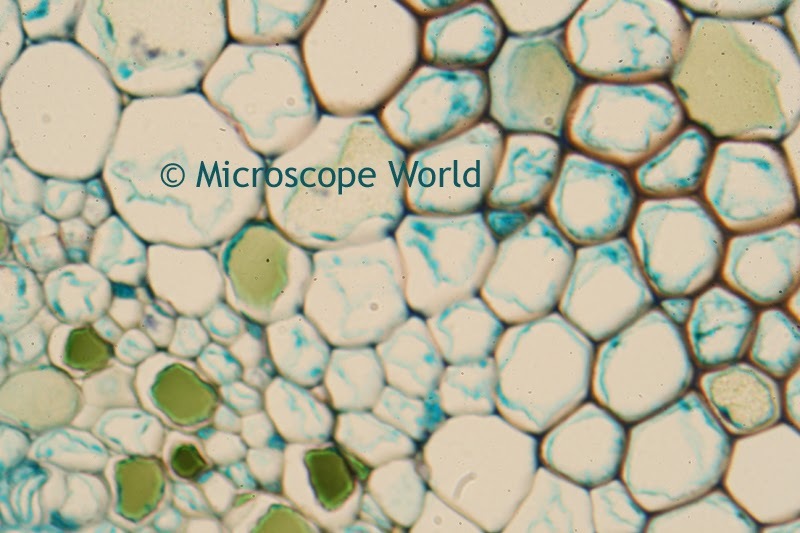 Dicot, 400x under biological microscope.